Use the following guidelines to ensure maximum tactical fitness. 1) YOU WILL HYDRATE, AND YOU WILL TRAIN. This, according to Jamie Foxx’s Staff Sergeant Sykes in Jarhead (2005)...and everyone else who knows anything about training. Absent picture-perfect water consumption, your training will suffer, period. Aim for at least half your body weight in ounces of water per day—and more if you have ready access to the head. 2) STRIKE FIRST ON CATABOLISM. Muscle breakdown is actually the key to improved strength and muscle size if you recover properly. To avoid having catabolism (muscle wasting) overtake hypertrophy (muscle growth), consume 1 to 1.5 grams of protein per day, mainly via whole foods like red meat (which supports testosterone production), chicken breast, pork, and fish. 3) SLEEP MORE. This isn’t a nutrition tip, but you should be getting at least seven hours of high-quality sleep per night. If you’re not, you are compromising mission success. Power down Netflix at least one hour prior to your target bedtime in order to slip yourself into a deeper sleep. Why? Because testosterone and growth hormone levels—the two most important hormones for muscle regeneration and strength levels—peak while you catch some z’s. 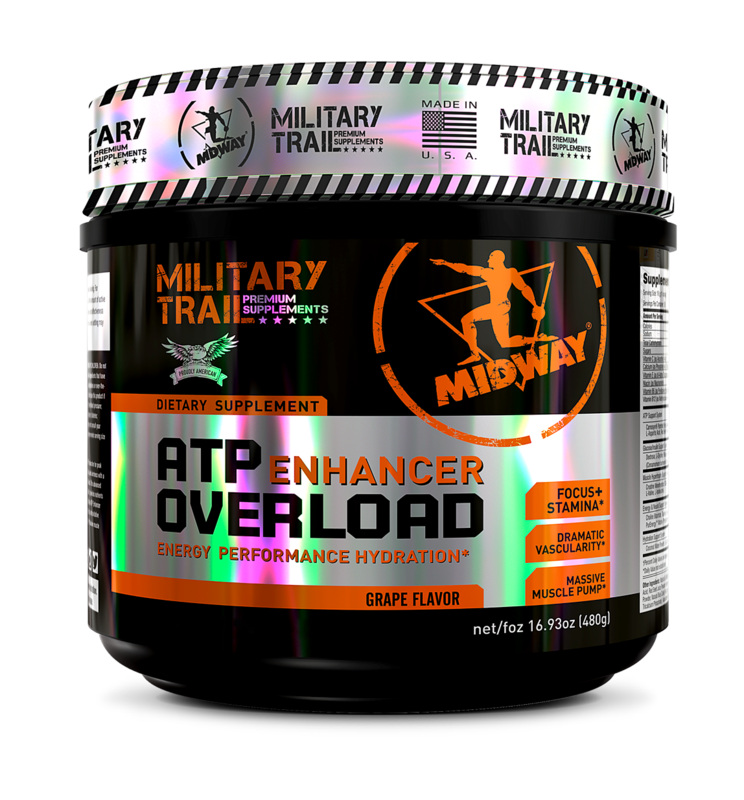 Midway Labs doesn’t just voice support for American fighting men and women. It literally puts money where its mouth is by donating 5% of all proceeds from its Military Trail line to charities that support veterans and active-duty service members. What you get in return: a solid menu of proven, lab-tested supps that provide all you need to go to battle with the iron. These three products, along with a solid, whole-food-based nutrition plan, will serve as your base of operations for your fitness journey. Welcome to the Surge. This pre-workout provides caffeine, creatine, and beta-alanine, all well-known ingredients for increasing strength, maximizing power production, and delaying time to fatigue. But it is the hydration complex that helps extend the effects of the other ingredients—ideal for the high-volume, longer-rest-period nature of these workouts. The high demand placed on your nervous system during this program requires max recovery. Because hormone levels peak at night, keeping testosterone levels high while you sleep is essential. 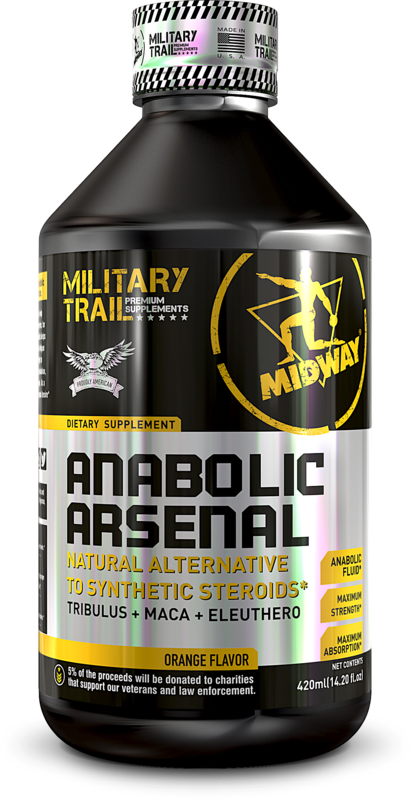 Anabolic Arsenal contains maca root extract to keep T levels high, which helps you bring max aggression to each workout and rebuild like a boss when you hit the rack. 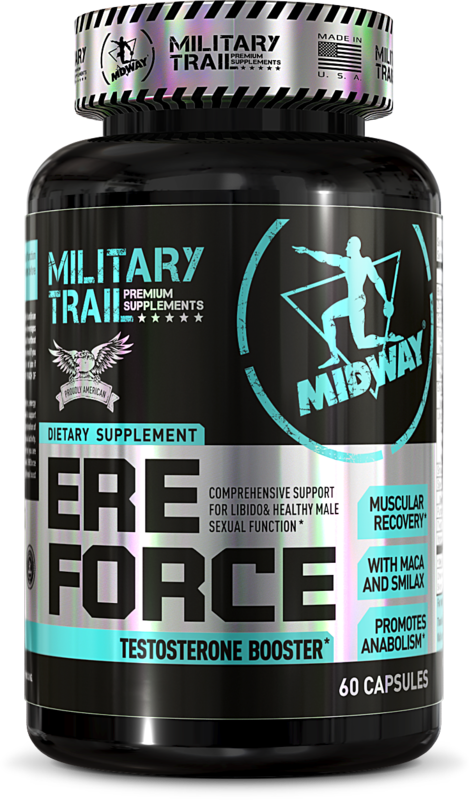 While Anabolic Arsenal helps boost T levels, ERE Force works through different pathways to optimize hormone levels while also supporting metabolism. The bonus? The mix of ingredients— which includes maca, selenium, biotin, catuaba, tribulus, and smilax— has a positive impact on sexual performance for those happy post-deployment reunions. *These statements have not been evaluated by the Food and Drug & Administration.These products are not intended to diagnose, treat, cure, or prevent any disease.